There is a growing public expectation that universities should start focusing on delivering sustainability. The topic of sustainability in higher education has gathered a significant amount of interest from students, academics, governments and international organizations. With a plethora of declarations, initiatives, marketing and assessments, there is a need to assess what the stakeholders want in order to make decisions regarding an institutions sustainability. Ultimately, students are the ones using these sustainability marketing materials to assist in their decision at which institution they will pursue their studies. The sheer volume of interpretations of the word sustainability with regards to higher education institution leaves ample room for potentially misguided initiatives or marketing. To assist the reader in effectively navigating this dissertation, an overview of the research questions, the methodology, and the summarized results are outlined below in Figure 0.1. A more detailed summary of each of the chapters follows. The objective of this thesis is to provide a holistic framework to aid students in reviewing sustainability tools, assessments and marketing. The framework will not replace or compete with any of the existing tools but rather provide a simple, yet robust, starting-point that students can modify based on their own needs and perceptions. The framework will be derived from a qualitative assessment of current methods and then modified based on the quantitative analysis of various surveys. The aim of this dissertation is to explore the value in creating a universal framework to aid students in reviewing sustainability tools and assessments. In order to accomplish this, one primary boundary conditions must be set to guide the research. The boundary condition is understanding the limitations of the scope of each assessment. Each tool may vary in purpose, scope, function and state of development (Shriberg, 2002). They also vary in the weighing methods, flexibility and access to information (Gómez et al. 2015). Because of this, an assessment’s scope will be considered sufficient for the assessments purpose. However, the breadth of the scope in relation to a holistic framework will be reviewed in order to aide stakeholders in understanding a more universal view. The progress of sustainability within higher education has steadily increased in focus over the last decade and has increasingly become a topic of academic research. With various scholars, journals and conferences exclusively dealing with the subject, a wealth of literature has been produced on best practices, suggestions, and assessments pertaining to sustainability within the higher education field. Higher education stakeholders, who for this paper are defined as being the potential/ current students, staff and management, continue to become more conscious of the principles of sustainability. This higher level of understanding promotes the needs to assess existing literature in relation to the actual needs of the stakeholders in order to identify existing features, trends and needs so that there is continual improvement in the field. This paper shows that sustainability is currently a socially desirable trait but other factors, such as becoming more competitive in the job market, supersede it in importance to stakeholders. It also shows that there is a general need for a standardized method for assessing institutions, with AASHE’s STARS system being the most used system. There is a noticeable increase in interest with regards to sustainability in higher education. As institutions investigate, implement and market sustainability efforts, there is a myriad of sustainability assessment methodologies currently available. Although these assessment systems were created with the intention of helping sustainability in higher education institutions, they have ultimately led to an assortment of standards being used by institutions which do not help students and faculty assess the level of sustainability uniformly between institutions. This paper combines relevant literature on sustainability assessment with empirical data to suggest an ideal assessment method to be used as the basis for a universal tool. It was found that the STARS system was the most suited system to be used as a basis for a future universal assessment tool. Sustainability assessment has become an important tool for measurement of higher education institutions. 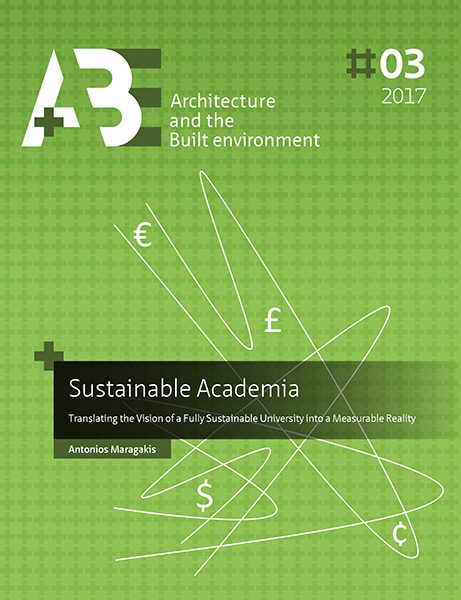 Although there are many potential tools for measuring an institutions level of sustainability, this paper explores the use of STARS as a system for higher education sustainability that could be used universally by all higher education institutions, as well as enables comparison between institutions. The results of this paper address the effectiveness of STARS to fulfill this need, as well as the further development needed in order to fully encompass sustainability and stakeholder needs. Is Higher Education Economically Unsustainable? As students continue to review the sustainability of higher education institutions, there is a growing need to understand the economic returns of degrees as a function of a sustainable institution. This paper reviews a range of international research to summarize the economic drivers of higher education attainment. Although the cost inputs to higher education are fairly well understood, the economic return of a degree is not. Students misperception of economic returns coupled with a dynamic definition of employability create the framework for unsustainable debt loads for graduates. This paper proposes three metrics that can be used to assess the economic sustainability of students graduating higher education that can be used to supplement the broader definition of sustainability within higher education. There is a growing need to understand the economic returns of degrees as a function of a sustainable institution. The empirical data presented in this paper suggests that there is a difference between the economic perception of higher education stakeholders and reality. The data showed that the most important economic metric for a graduate is full-time employment. This metric, although important, is incomplete and does not address other important factors such as starting salaries and under-employment. This indicates a gap between reality and perception considering stakeholders expectation that education should not cost more than of 15% of future salaries and that the debt be repaid in less than ten years. Student’s focusing on full-time employment rather than the holistic economic realities of their educational choices may lead to an unsustainable future which is currently not captured in higher education sustainability assessments. Higher education institutions play an important role in sustainability, in their own management and operation, in research and education, and in the undergraduate and graduate degrees they deliver. Often ignored, economic sustainability and future perspectives of students are important indicators too. The research presented in this paper validates that a student’s post-graduation economic performance should be part of a higher education institution’s metric for sustainability. The data collected in this research, as well as in other research, shows that almost 90% of respondents agree that economic metrics should be considered part of a higher education institutions level of sustainability. While there is no doubt about the economic gains of higher education, the results indicate that students utilizing a manageable 8% repayment of economic debt would be in debt for decades after graduation, further supporting the need for institutions to inform their stakeholders before such a life changing commitment. The progress of sustainability within higher education has steadily increased in focus over the last decade and has increasingly become a topic of academic research. As institutions investigate, implement and market sustainability efforts, there is a myriadof sustainability assessment methodologies currently available. This assortment of standards being used by institutions do not help students and faculty assess the level of sustainability uniformly between institutions. A universal framework was proposed for facilitate stakeholder’s review of comparing sustainability assessments in higher education. This research reviews the creation of the framework and results from testing in an online environment. The lack of data collected during the testing phase provides some anecdotal evidence regarding what stakeholder consider important in terms of sustainability within higher education and may also indicate that there is no need for a universal sustainability assessment in higher education to be used directly by stakeholder. This doctoral dissertation presented the creation of a holistic framework that would aid students in reviewing sustainability tools, assessments and marketing. The previous chapters present the methodological, peer-reviewed approach towards this research that consisted of qualitative and quantitative methods which combined relevant literature and stakeholder needs. In Chapter 2, a survey was conducted to identify features, trends, and needs in relation to sustainability in higher education. It indicated that there was a stakeholder need for a universal sustainability assessment system in higher education while also identifying a gap in current assessment systems; namely not including the economic well-being of graduates. In Chapter 3, a qualitative review was conducted to develop a theoretical framework for comparing sustainability assessments. It was empirically tested and resulted in a methodological framework for comparing assessment systems. In Chapter 4, the framework was utilized for a gap analysis on the prominent STARS assessment systems. During the research, the framework itself was identified as having a gap because it did not address the economic metrics that were needed by stakeholders. In Chapter 5, a qualitative review was conducted to determine the best economic metrics to be applied in sustainability assessments. The economic return of a degree is a very wellstudied topic but it is novel, and controversial, to include post-graduate economic metrics in sustainability assessments. Three metrics were proposed to be used in sustainability assessments: under-employment, starting salaries and over-education. In Chapter 6, a quantitative study was conducted to determine the best economic metrics to be applied in sustainability assessments. Stakeholders identified employment being their most important driver, but unsustainable perceptions were also identified in terms of the cost of education and the repayment of educational debt. Utilizing the research, a website was created to test both the framework and economic metrics to validate their usefulness and relevancy to stakeholders. In Chapter 7, the relevance of the economic calculator was validated. Stakeholders strongly agreed that the metrics should be included in sustainability assessments. Furthermore, the data collected validated that a majority of stakeholders would accumulate an unsustainable amount of debt. In Chapter 8, the validation of the framework lead to inconclusive results. The low amount of data collected led to some anecdotal evidence that there may be no need for a universal assessment system for sustainability. The present chapter summarizes the main additions to science presented in this dissertation while also answering the research questions posed in the introduction. It also presents a discussion to the greater meaning of this dissertation and provides recommendations for future research.